In skillet, brown hot dogs in butter*. Place chili in a saucepan and heat. 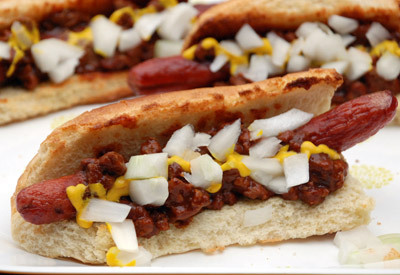 Place hot dogs in buns; spoon on the chili, drizzle with mustard and and top with chopped onion. *As an alternative, hot dogs could be grilled.